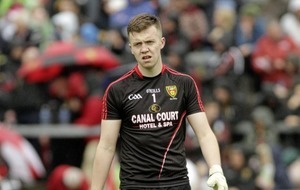 Galway goalkeeper Ruairi Lavelle could represent Inis Mor in the inter-island tournament. 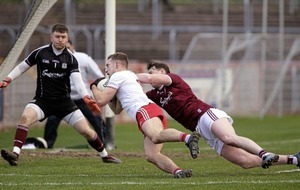 Picture Seamus Loughran. 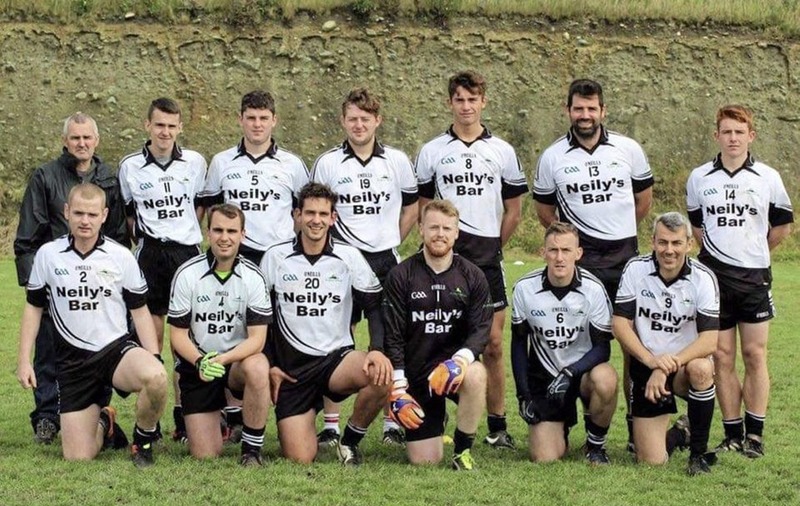 SEAFARING football men and women from Donegal, Cork, Mayo and Galway will gather on Inis Mor for Comortas Peile na n-Oilean, the annual inter-island GAA tournament, next month. The nine-island competition brings together male and female teams from Arranmore, Clare Island, Inishturk, Inishbofin, Inis Mor, Inis Meain, Inis Orr, Whiddy Island and Bere Island in a unique celebration of island life. Ulster will be represented by Arranmore, who were champions back in 2014. 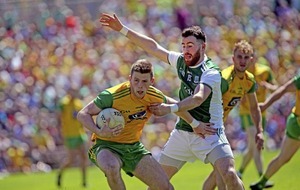 The largest inhabited island in Donegal, the Tir Chonaill natives will travel south hoping to dethrone back-to-back winners Whiddy from Cork. Like most of his team-mates, Brian Kevin O'Donnell is an Arran native but a grandparent rule applies for the popular competition that has been running since 1998. “Most of the lads are born and bred here,” Brian Kevin explained. A 50-strong contingent of players and fans will make the 20-minute ferry journey from Arranmore to Burtonport on the day before the tournament. Once on the mainland they'll board a bus for the trip down the west coast with pick-ups in Donegal Town and at Knock airport, where they'll be joined by London-based tech company owner Neil Gallagher, and then the final leg will take them from the seaport at Ros a mhil into Galway Bay for the tournament on Inis Mor. “The boat from Arranmore to Burtonport is grand but going out some of the other islands can be rough – especially on the way back on the Sunday morning!” said Brian Kevin. The men's tournament is 11-a-side and the women's seven-a-side. Arranmore will travel with healthy numbers this year, something that hasn't always been the case. “Normally it has been difficult because we haven't that many to pick from. It's a great place to live, it's so easy-going and relaxed but it is tough in one sense because there's really only bar work here, that's the main occupation. “It's cheaper to live here than a lot of places but it is tough. There used to be a lot of salmon fishing but it was banned in 2006 and that has had a major effect on the island. Arranmore does have a soccer team that plays in the Donegal leagues but the Gaelic football team gets together once a year for this tournament. They will face some stiff competition on Inis Mor, particularly from Inishbofin who will include Galway stars Ruairi Lavelle and Michael Day while Cork's Colm O'Driscoll will line out for defending champions Whiddy. “It's competitive and it can be a bit physical,” Brian Kevin explained. Inis Mor play with the other two Aran Islands (Inis Meain and Inis Orr) in the Galway club championship but they split for this tournament. “It's probably the biggest weekend of the year for most islands and the money it takes in is very beneficial too,” said Brian Kevin.